In a 1-cup measuring cup, stir in 1 Tablespoon of fresh lemon juice. and let sit for 5 minutes. In a 1-cup measuring cup, stir in 1 Tablespoon of white vinegar. and let sit for 5 minutes. 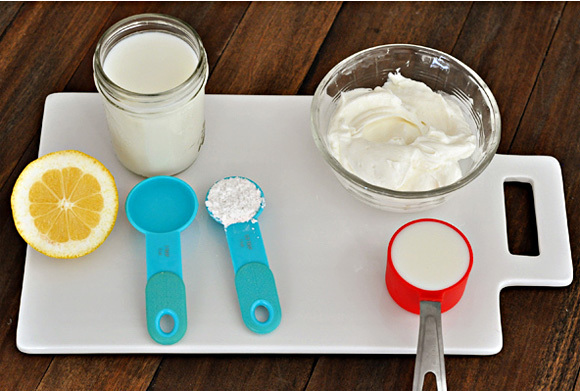 In a 1-cup measuring cup, stir in 1/2 tablespoon cream of tartar. and let sit for 5 minutes.